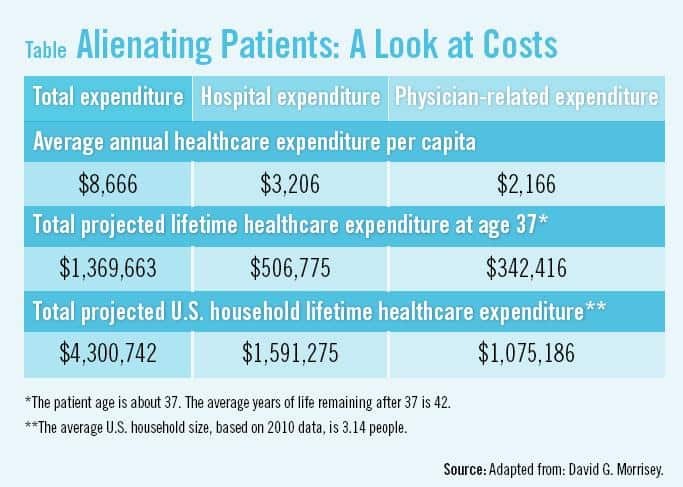 As healthcare costs rise, patients are demanding a higher level of service. This expectation goes beyond the bedside and includes everything from registration to final statements. Every individual involved in the patient experience, from receptionists to medical staff, has an impact on satisfaction. The billing and collections process is no exception. There is a strong correlation between the billing and collections experience and loyalty to providers. Research has shown that when patients find their experience to be favorable, they’re satisfied with the overall provider experience about 99% of the time. Loyalty can be severely impacted by negative post-care experiences, which in turn can have an impact on one’s bottom line. Malpractice suits are another negative post-care experience that can impact the bottom line. When it comes to malpractice suits, it doesn’t matter whether you win, lose, or settle. Besides being expensive, being sued by patients is extremely stressful to both hospitals and physicians. The risk of being in a lawsuit increases from 0% for those with very good patient satisfaction ratings to 19% for those with very poor ratings. Physicians are not found negligent in more than 90% of cases that go to trial, but more than $110,000 per case is spent defending those claims. Under CMS’s value-based purchasing proposal, as much as 1% of diagnosis-related group (DRG) Medicare payments will be at risk for hospital providers with low patient satisfaction scores beginning in October 2012. These satisfaction surveys will be conducted randomly with discharged patients, including those who are too young for Medicare coverage. According to CMS, more than 3,000 hospitals will be impacted, and potentially $850 million is at stake. Furthermore, the percentage of DRG payments at risk is expected to increase to 2% by 2017. Dissatisfied patients can significantly damage the reputation of providers by negatively discussing their experience. The perception consumers have of service quality plays a disproportionate role in their choice of provider. On average, each unhappy consumer tells 11 people about his or her bad experience. On the other hand, patients who are fully satisfied with the billing process are more than five times as likely to recommend their hospital to friends, and about 91% would recommend their physicians, when compared with those who are less than satisfied. Focusing on patient satisfaction fulfills the essential mission of healthcare and makes business sense. There are costs associated with dissatisfied patients that have the potential to be disastrous given today’s shrinking margins for healthcare providers. Non-clinical employees can have a significant impact on patient perceptions on overall satisfaction with providers, and their impact on satisfaction should be measured. Those involved with the revenue cycle should be made aware of the importance of their role and be trained in customer-service, patient loyalty, and advanced communication skills. Connance Consumer Impact Study 2011. Does your hospital’s billing process cause you to lose patients? Infographic. Available at: http://www.connance.com. Accessed January 20, 2012. US Census Bureau and Centers for Disease Control (CDC). Available at: http://www.census.gov. Accessed May 14, 2011. Centers for Medicare and Medicaid Services, Office of the Actuary. Available at: https://www.cms.gov/NationalHealthExpendData/downloads/tables. Accessed May 14, 2011. American Medical Association. The case for medical liability reform. Available at: http://www.ama-assn.org/ama1/pub/upload/mm/-1/case-for-mlr. Accessed January, 20, 2012. Kaiser Health News. Medicare to begin basing hospital payments on patient-satisfaction scores. Available at: http://www.kaiserhealthnews.org/stories/2011/april/28/medicare-hospital-patient-satisfaction.aspx?referrer=search. Accessed November 29, 2011. Gallup. Why you should welcome problems. Available at: http://gmj.gallup.com/content/21805/why-should-welcome-problems.aspx. Accessed on May 14, 2011. David G. Morrisey has indicated to Physician’s Weekly that he has no financial disclosures to report.